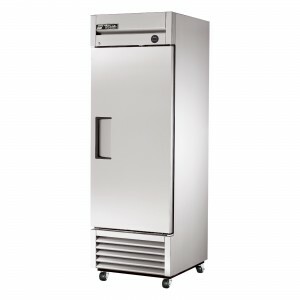 This True T-23F upright single door commercial freezer serves as the ideal catering freezer or industrial freezer. It features a stainless steel front, incandescent interior lighting, three adjustable heavy duty PVC coated wire shelves, an exterior temperature display and a positive seal self-closing lockable door. 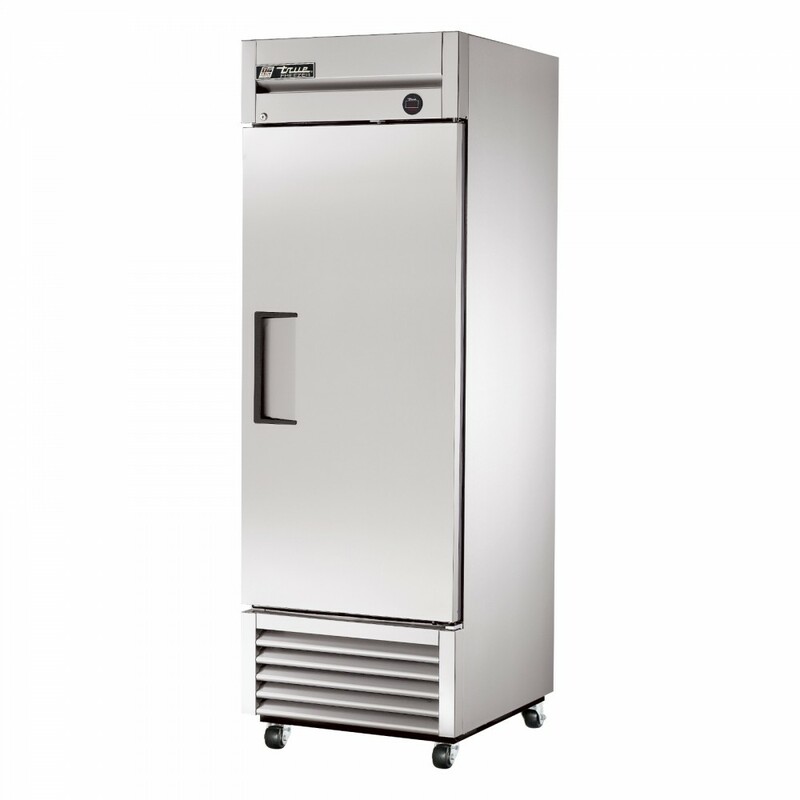 All True commercial refrigeration equipment is sold with a three-year parts and labour warranty, and a five-year warranty on compressors.